This ring symbolises the ratio of the Moon and the Sun's relative distance & diameter, so when they appear to be the same size, we see an eclipse. 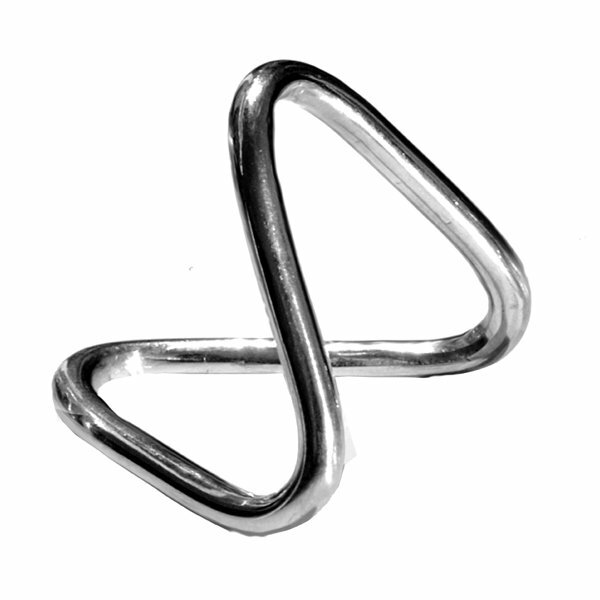 The design is formed using 2 arcs that are differing in size, yet united where they intersect. 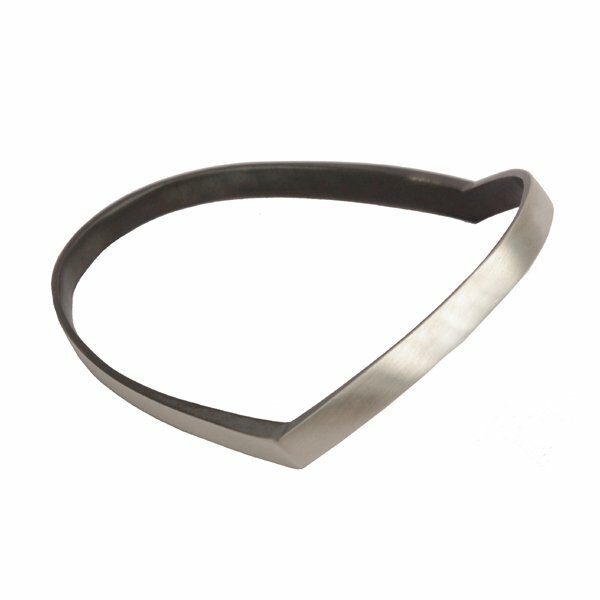 A dual finish of oxidised & matt silver gives this piece a strong 3D aspect. 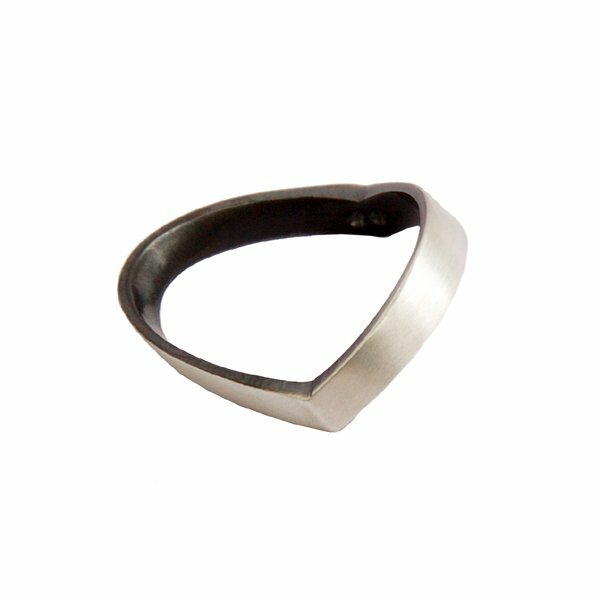 This piece can be worn in many ways. 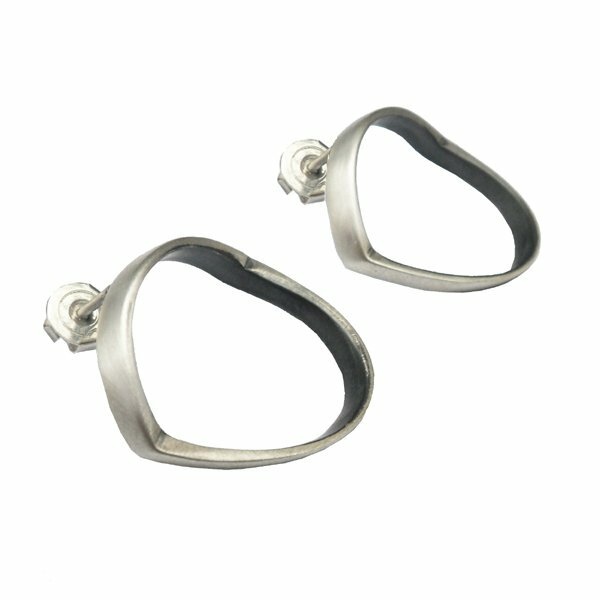 To complete your look, there are matching earrings + bangle in the series. Allow approx. 1 week lead time.